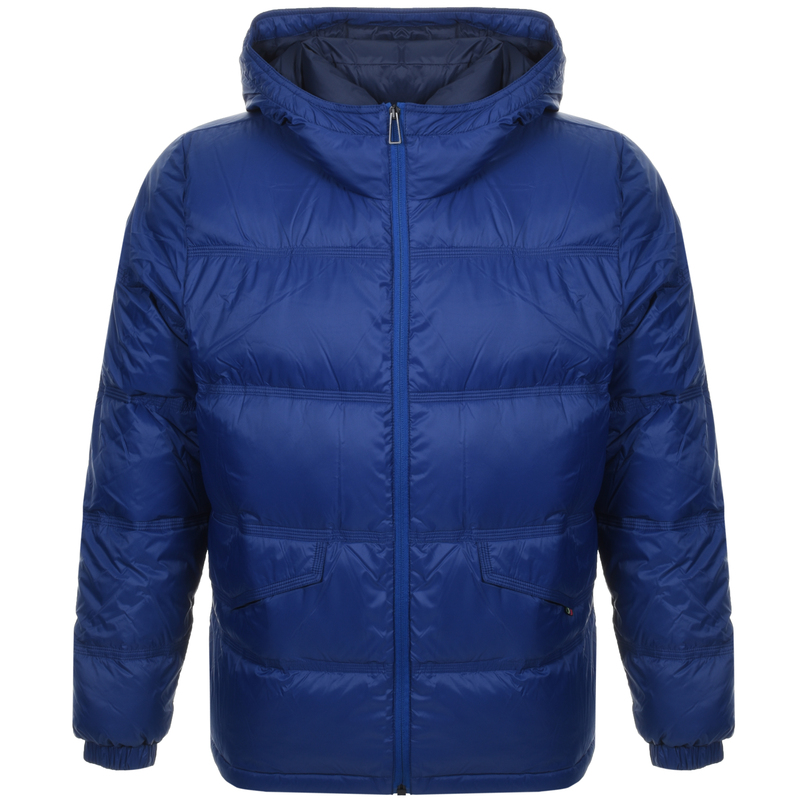 PS By Paul Smith Hooded Down Jacket in Indigo Blue, A padded down filled jacket featuring a full front zip fastening with a branded black coated metal zipper. A high neck with a large hood which features elasticated drawstrings and black plastic toggles. Elasticated cuffs on the long sleeves and elasticated drawstrings on the interior of the hem. Two slanted flap entry pockets at the waist with press stud fastenings. The signature woven PS By Paul Smith multicoloured stripe pinch tag is sewn onto the flap of the left pocket in blue, black, red, yellow, and green. Two pockets on the interior. Outer 100% Nylon, Filling 90% Duck Down And 10% Feather. The Brand New Collection Of Paul Smith Coats And Jackets Live.